GO! Cartoons is a series of animated shorts created by Fred Seibert and produced by Frederator Studios and Sony Pictures Animation. "The Summoning" is the first of 12 full episodes of the GO! Cartoons shorts series from Frederator Studios and Sony Pictures Animation. 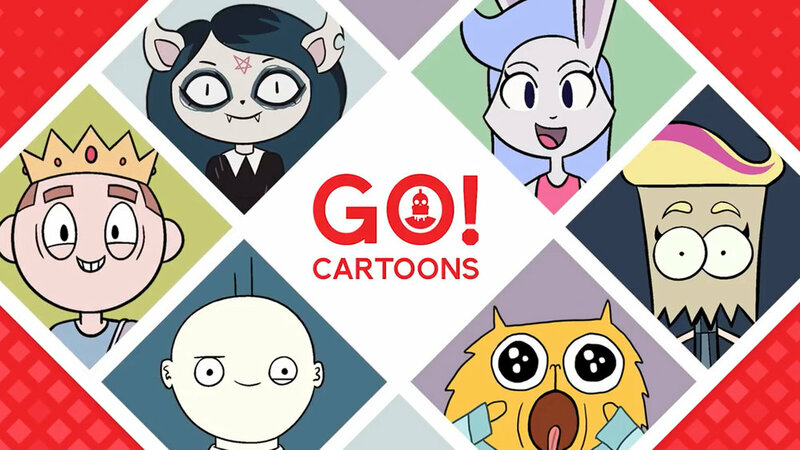 "Boots" is the second of 12 full episodes of the GO! Cartoons shorts series from Frederator Studios and Sony Pictures Animation. "City Dwellers" is the third of 12 full episodes of the GO! Cartoons shorts series from Frederator Studios and Sony Pictures Animation. Join our intrepid heroes as they brave the perils of city dog walking and run into a Dodeca Mega Heap sandwich along the way. "Rachel and her grandfather control the island" is the fourth of 12 full episodes of the GO! Cartoons shorts series from Frederator Studios and Sony Pictures Animation. Rachel and her grandpa just wanna take control of their island by running surveillance out of trash cans—but they’ve got to get the love-sick President to lift the trash can ban first. 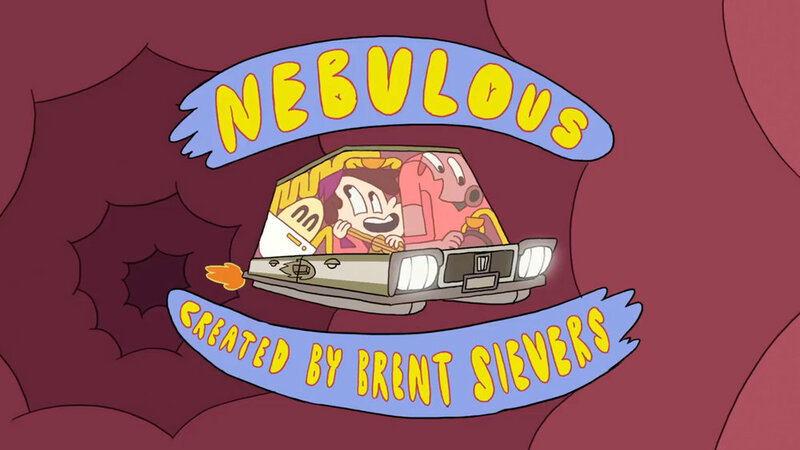 "Nebulous" is the fifth of 12 full episodes of the GO! Cartoons shorts series from Frederator Studios and Sony Pictures Animation. All they needed to do was a simple delivery job, but it just turned into a whole new adventure. "Welcome to Doozy" is the 6th of 12 full episodes of the GO! Cartoons shorts series from Frederator Studios and Sony Pictures Animation. Ex prepares an amazing bento box for her work crush, but her friend Lou’s spell to make it amazing-er turns out to be a curse, as the food becomes alive-er, and a whole lot angrier. 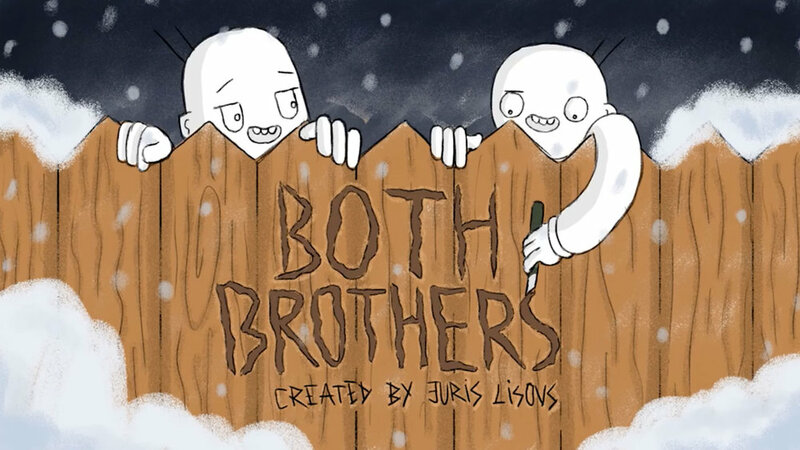 "Both Brothers"! 7th full episode of GO! Cartoons. Tod & Klod have a problem: the weather is just too good for snow sports. Who do you blame? The Sun of course! "The Bagheads"! 8th full episode of GO! Cartoons. When a bag-headed brother and sister battle over trash take-out, the piled-up garbage really hits the fan. We're in the home stretch with the 9th full episode of GO! Cartoons. Join "Tyler & Co." Tyler attempts to become the Cereal King. Episode 10 of GO! Cartoons is here with "Kid Arthur"! Arthur just wants to do well on his math test, but Mordred won’t stop distracting him with ogres and dragons and plans to destroy him utterly. Pau just wants to hit the skate park with his crush, but his elderly neighbor traps him in an underground death park, hoping he’ll skate right into an early, but gnarly, grave. GO! Cartoons.